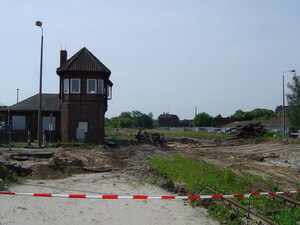 Signal box Wm is sited adjacent to the former railway level crossing from the town (Bahnstrasse) to the reception building, originally laid out on an island platform. 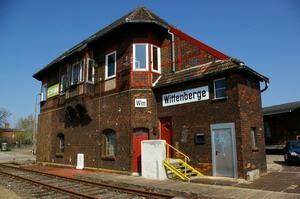 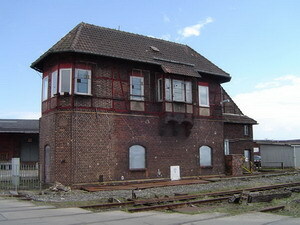 In its immediate vicinity, there is the well-preserved freight depot and the access to the former Wittenberge locomotive depot. 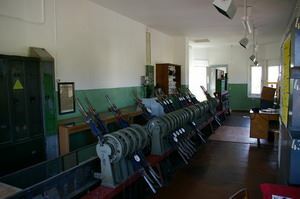 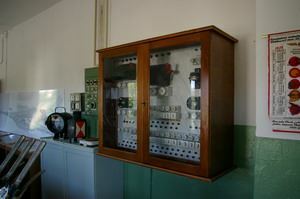 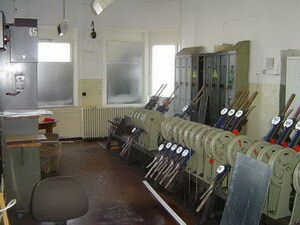 The mechanical signal box Wm, to a Jüdel design, was taken into service in 1909. 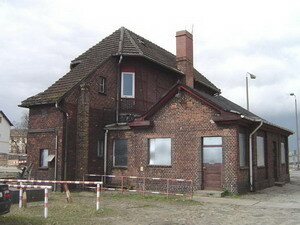 In the late 1920s, due to extensive additions to the trackwork on the Magdeburg side of Wittenberge station, it became necessary to extend the signal box. 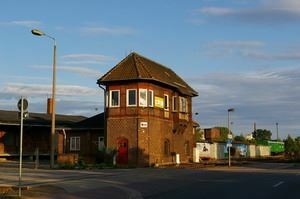 The addition was built in a northerly direction, towards the level crossing, and on close inspection, signs of it can still be made out today. 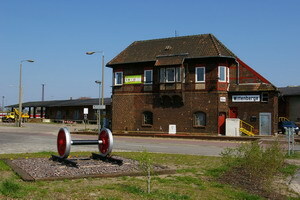 Drop in and visit us! 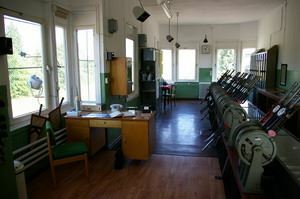 We are here every Saturday and will be delighted to show off our signal box.